Art Ross, one of Dankmeyer’s talented Fabrication Technicians, is a very creative guy. 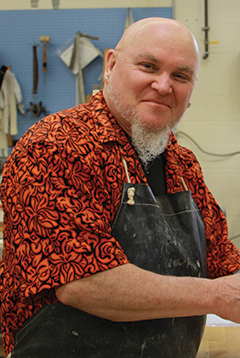 In addition to the magic he works when fabricating prostheses and orthoses, he is the mastermind behind 3DPO, directional signs inside the Linthicum office, some of our website and newsletter graphics and his famous chicken costumes. He is also well known around the office for his tongue-in-cheek foot shell designs. You may remember when Art competed in the Orthotic & Prosthetic Activities Foundation (OPAF) foot shell decorating contest a few years ago. The OPAF and The First Clinic's Feet First annual contest challenges people in our field to take a prosthetic foot shell and decorate it any way they want. The winners are determined by a popular vote. It is an event that allows us to be creative and to be encouraged by the creativity of others. This year Art decided to give it another go. 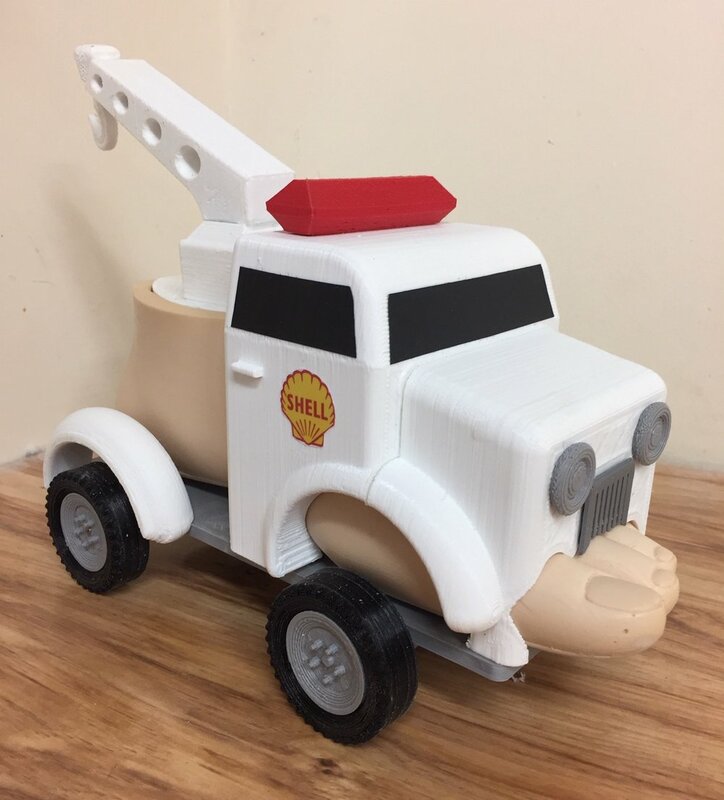 Congratulations to all those who submitted entries, but a special shout out to our own Art Ross for winning second place with his ToeTruck! Welcome Michelle Forbus to Dankmeyer! If you see a new face at Dankmeyer’s Linthicum or Eastern Shore office, say hello to new resident Michelle Forbus. Michelle is part of the unique prosthetics and orthotics program at Baylor in Houston, TX. The Baylor College of Medicine Orthotics and Prosthetics Program is described on their website as “the only academic program in the nation in which the dual clinical residency requirements are included. Program graduates are eligible to sit for both Orthotics and Prosthetics board certification exams upon completion of their M.S. degree.” As part of this program, Michelle will go to several different prosthetic and orthotic practices to do 3-6 month residency rotations. She will be with us at Dankmeyer for six months and then leave for the next part of her training. Originally from Crofton, Maryland, Michelle did her undergraduate work at McDaniel College in Westminster, MD, majoring in Exercise Science. She was happy to return to Maryland to do a portion of her residency work close to friends and family. Outside the office, she enjoys hiking, swimming, and camping. Matt Hierstetter Wins Fabrication Contest! Matt Hierstetter, Fabrication Technician and Safety Officer, took a course in 2018 offered by Click Medical called, "Can You Adjust?" 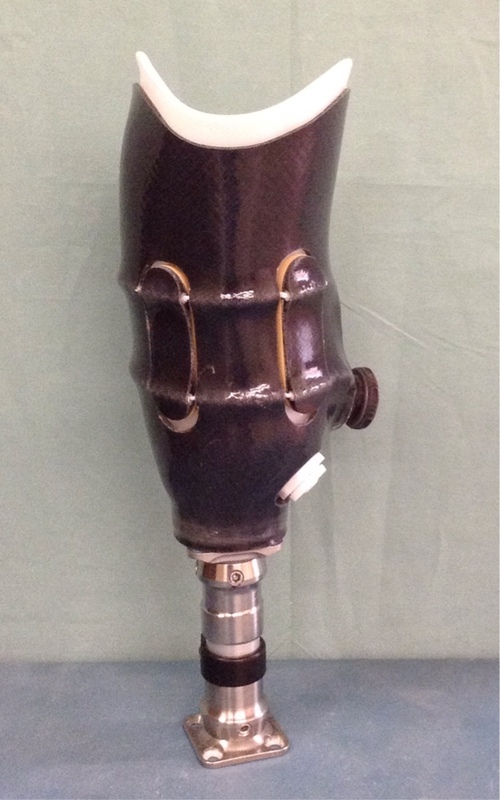 where he learned how to fabricate prosthetic sockets using Click’s adjustable socket design. 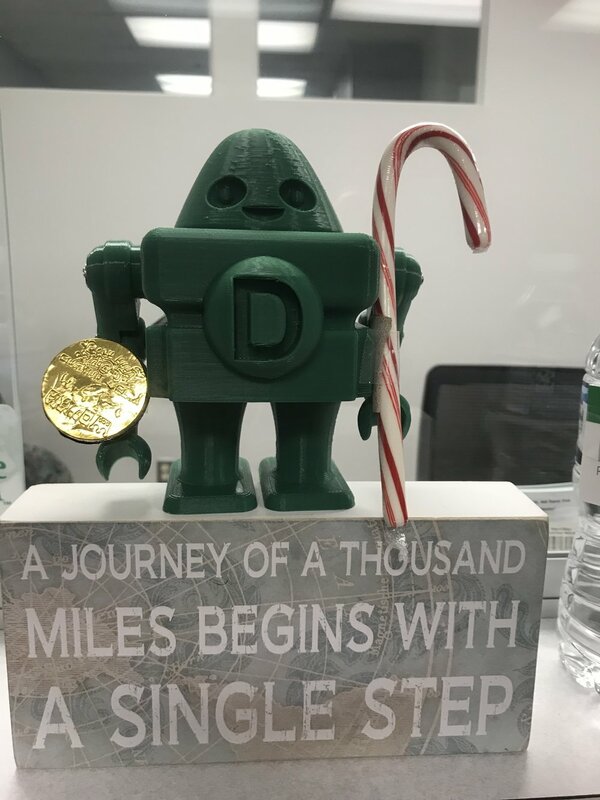 Click Medical held a contest for course participants that asked participants to share photos of their creativity with the adjustable socket that worked for the product and the patient. Matt took third place! A win for himself and even more so, for the patient. For his effort, Click Medical will be sending Matt to the AOPA (American Orthotic & Prosthetic Association) National Assembly in San Diego, CA later this year and paying for his airfare, hotel, and registration to the event. Well done Matt, we are very proud of you! 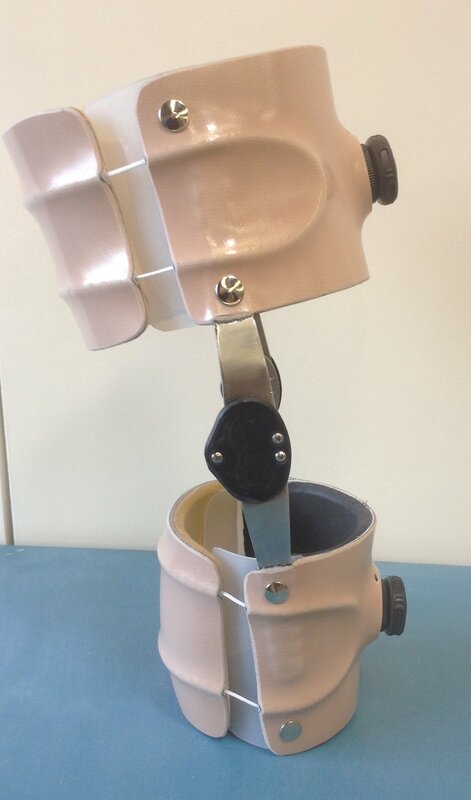 Here are some photos of other devices that fabrication technicians have done using the Click system - both prosthetic and orthotic. Sheryl Nathanson, CPO and Jeanne Smith, Patient Services Representative hosted a little holiday gathering on December 19th to show off the newly remodeled Dankmeyer office space on the Sinai Hospital Campus. This Dankmeyer office, in the Morton Mower Building, has been serving patients in north Baltimore since 1991. Wednesday’s get-together gave professionals on campus a chance to drop in and see what Dankmeyer staff have been working on for the past few months. Virtually everything from floor to ceiling (except the ceiling itself!) has undergone a makeover. While the wraps came off the new space in October, the finishing touches are still being applied. Sheryl and Jeanne were eager to provide this sneak peak while offering snacks and beverages as a quick break from the busy holiday season. They were joined by Amy Smith, Executive Assistant, in setting up this holiday themed coffee social they call “Coffee with Dankmeyer”. Even 3DPO put in an appearance. We are looking forward to a Grand Opening come spring, when all the final pieces and parts are in place and everyone will be ready to celebrate with us the end of winter and new beginnings. 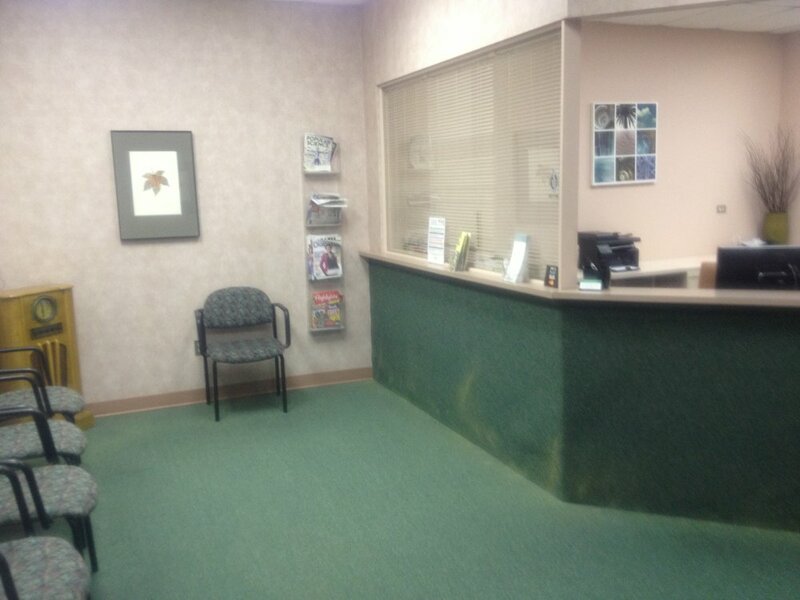 Until then, here are a few pictures to give you a glimpse of the changes we have made to better serve our patients. Starting with a picture of the “old” waiting area, enter through the new door to see some changes! Nina Bondre, CPO, has prepared a summary report on material presented at the American Orthotic & Prosthetic Association (AOPA) National Assembly in Vancouver late September. Professionals and amputees alike may find this information of interest. Citations and links to the information presented here can be found at the end for those interested in more detail. Angie Bryl, Mark Hopkins and Jed Newhardt all attended the September AOPA meeting from Dankmeyer. One of the most interesting pieces of information they returned with was a clinical update regarding post-operative care for amputees. There are many methods of handling a person's residual limb following an amputation, and the studies presented at AOPA helped to provide some support and evidence for current practice and to encourage new standards. Multiple studies demonstrated that a rigid dressing following amputation were superior compared to soft dressings, both for decreasing time to fitting, and for reducing incidental injury/trauma to the limb during healing (Reichmann et al, 2018). Peer visitation during the post-operative phase is also extremely important and currently quite undervalued. In a trial that included individual peer visits for patients that had undergone an amputation, 92% responded positively to the peer visit. In addition, 1-6 months following the visit, 92% still said that their outlook had been improved due to the peer visit. The recommendation from this study is that peer visits should be encouraged and sought after for everyone who undergoes a major amputation (Reichmann and Bartman, 2018). People who have amputations in fact have a higher fall risk than those who have experienced a stroke, when compared in similar settings of hospitals and inpatient rehabilitation facilities. 3% of those with lower limb amputations who fall end up needing a revision surgery, and half of the revisions will result in a transfemoral amputation as the final level. However, if the patient is wearing a well-fitting rigid removable dressing at the time of the fall, the falls that end up in a revision surgery are eliminated (Gooday and Hunter, 2004). For more detailed information, these are the links to the relevant documents. Click to access. Reichmann, J. P., & Kritter, A. E., Jr. (2018, June). Evidence-Based Post-Operative Care for Transtibial Amputees. The O&P EDGE.